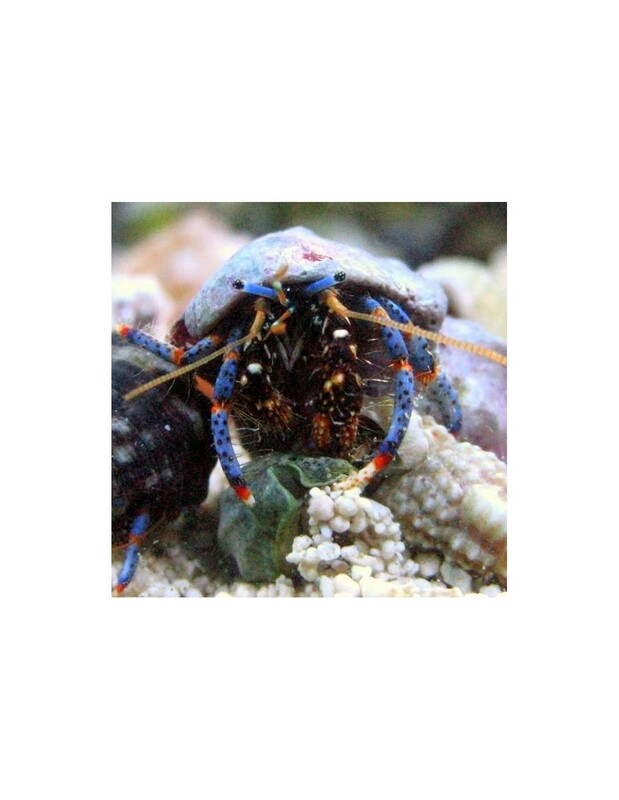 The Dwarf Blue Leg Hermit Crab or just Blue Leg Hermit Crab is a reef safe addition for the marine aquarium. 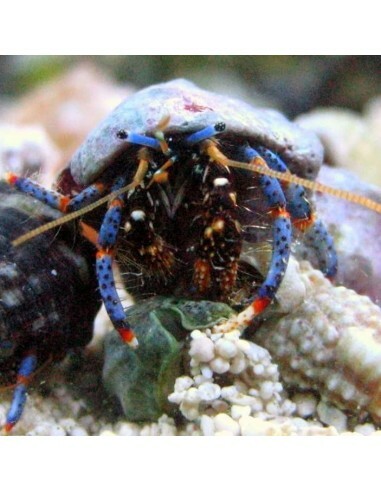 It has blue legs with small red banding. It eats various unwanted micro algae algae, including green hair algae and red slime algae (cyanobacteria), and will sift the sand for the search of food.